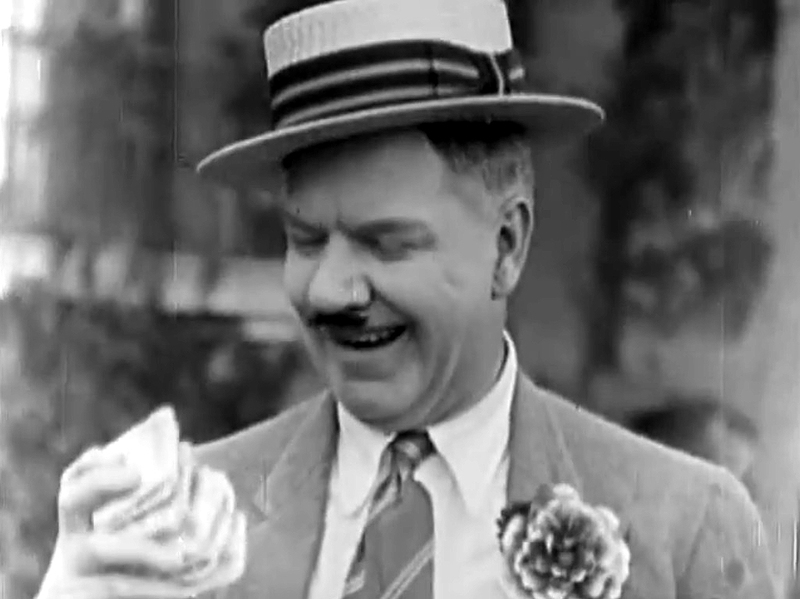 For a complete change of pace, here’s a Florida location highlighting W.C. Fields. Field’s feature comedy It’s A Gift (1934) is known for many classic sequences, including the sleeping-porch scene where a pushy insurance salesman searching for “Carl La Fong” disrupts Fields’ slumber. During another scene, Fields and family take a break from their cross-country drive to share a messy picnic on the grounds of a large estate that they mistakenly presume to be a public park. By the time the estate butler chases them away the grounds are ruined and buried in trash. What I did not realize is that this scene was reworked from one of Fields’ prior silent comedies It’s the Old Army Game (1926) co-starring Louise Brooks, directed by Edward Sutherland, and now available on a wonderful new Kino Lorber Blu-ray release. [Update: this original post was created from an old source – the image quality on the new Blu-ray is stunning. See HERE for more recent posts about them filming in Ocala, Florida and in New York]. As James Curtis reports in W. C. Fields: A Biography (Knopf, 2003), the sequence was filmed in Palm Beach, Florida at El Mirasol, the estate of Edward T. Stotesbury, “a Philadelphia banker who loved hob-nobbing” with Hollywood stars. Curtis writes that the film crew behaved irresponsibly, and trashed the immaculate front lawn facing the ocean as the servants watched in horror. Bill and family on the El Mirasol front lawn. Described as the grandest home ever built in Palm Beach, the 37 room estate was demolished in the 1950s, and the property subdivided. You can read more about El Mirasol, Stotesbury, and his other mansions, at these links HERE and HERE. A closer view of the estate from It’s The Old Army Game. 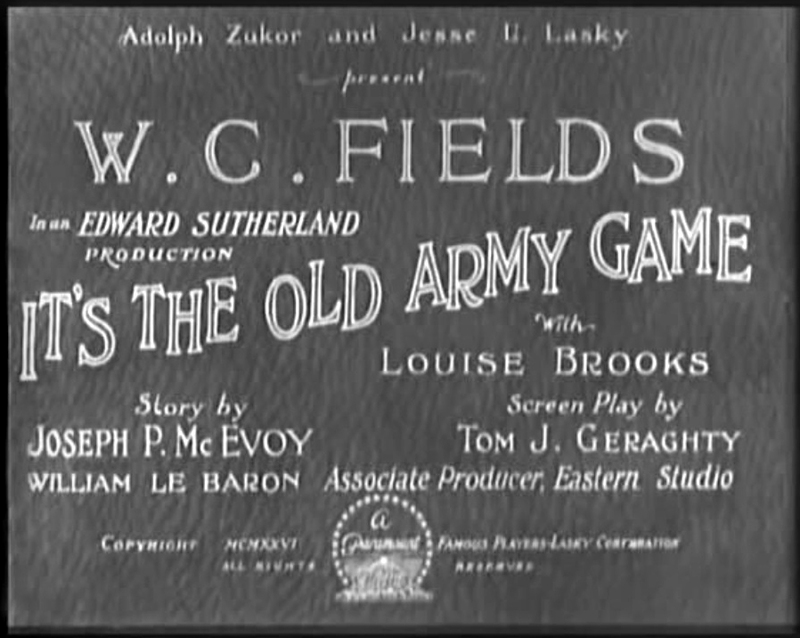 This entry was posted in Florida, It's The Old Army Game, W.C. Fields and tagged El Mirasol, It's a Gift, It's The Old Army Game, Louise Brooks, Palm Beach, Silent Comedians, Silent Comedies, Silent Movie Locations, Silent Movies, Stotesbury, then and now, W.C. Fields. Bookmark the permalink.